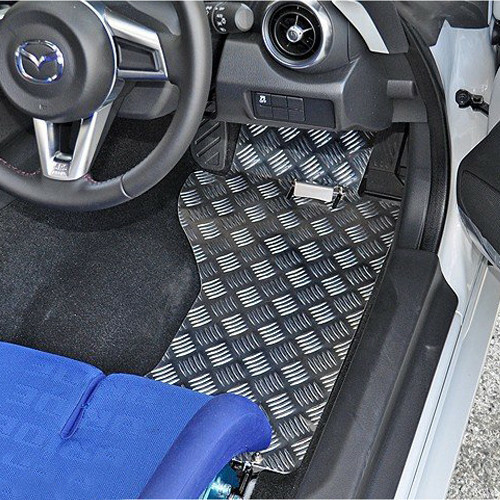 Heel foot rests made of 2mm thick aluminum sheets to the shape of the ND (2016+) MX-5 floor mats. 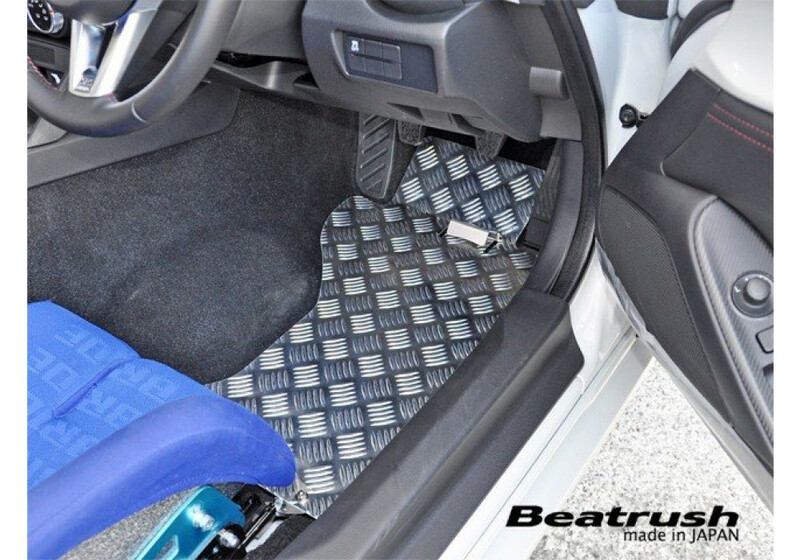 This product is intended for racing and avoiding any movement of the floor mats. 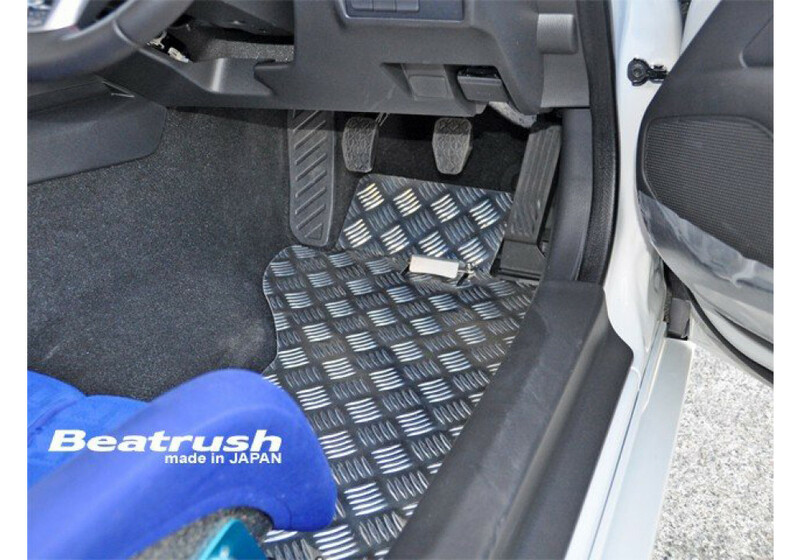 IT WILL ONLY FIT RIGHT HAND DRIVE VEHICLES. 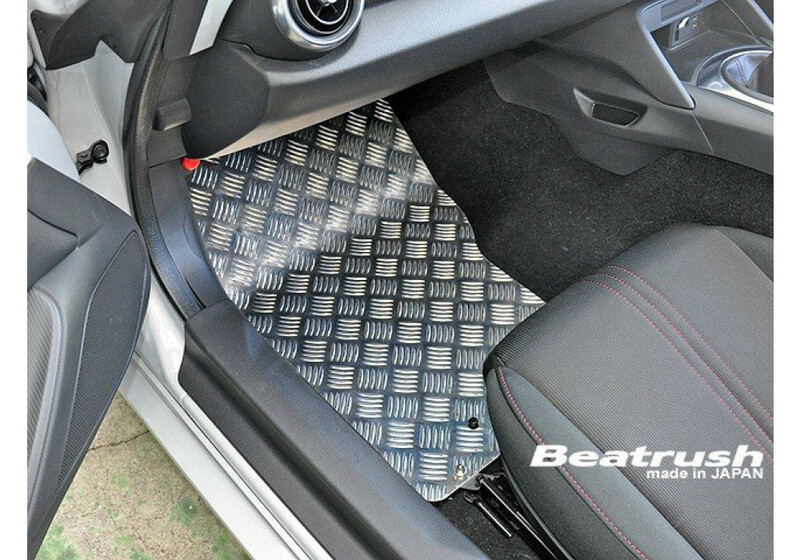 Beatrush Aluminum Floor Panel should be ordered at REV9 Autosport https://rev9autosport.com/beatrush-aluminum-floor-panel-3146.html as they provide the best service and speed we've seen so far!